This is a zip file that contains all (most) of the tweaks availablein XDA forums. It's so amazing.There is no risk of bricking or something else as it only contains some scripts that execute at boot. - Kernel tweaks for more battery life and slightly more performance! Click here to install CWM for Galaxy Wonder. If you use other that Wonder, than you need to google for yourself to install CWM for your phone. 4. Choose Install Zip from sd card. 5. Apply the downloaded zip file and reboot. Info: This TweakZ is now on version 6. If there is a new update about this tweak, I will update this post for the newer version of TweakZ. any test results. on antutu ? doesnt affect antutu score but will make ur phone smooth and faster..
low antutu score doesnt mean slow and laggy phone..
but, if u want high antutu score, try to use cow rom v7..
is it works with kernel xxlm8 ? will this work with galaxy S3 ? yes this "HOW TO INCREASE YOUR ANDROID PHONE PERFORMANCE" trick work for all phone..
hey there,i've tried dis tweak,but when i select the zip file it show "E:Error in/tmp/sideload/package.zip".installation aborted..i'm using recovery mod. dont use android default recovery..
well. it works for me. No lag at all and even faster for me. Can use for samsung galaxy note (non-root)? yes. but you need to install ClockWorkMod (CWM) first before install this. Installing CWM doesn't need root access. Hi Hunter. May I know how to uninstall this zip file? Thanks! Sorry, but you can't uninstall this zip. Trust me, you will not regret installing this tweak. 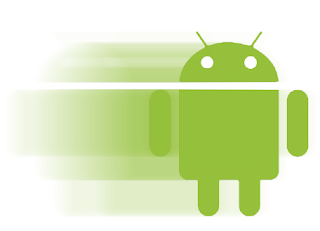 Make a nandroid backup first. You can restore the backup just in case if you dont like it. Works on Android tablets too? Yes. It works on all Android phone. i'd like to see this script in the xda forum. Please understand me if a cannot trust u. Every modder uses to say "everything on ur risk" and u say "no risk of bricking"... who r u? I fear for rootkits... give more referals and i'll install it. By the way: have a nice modding time! :P OK, I'll respect u! is it compatible with v6 supercharger? or will it be any conflicts with it? if so, which one is recommended, v6supercharger or tweakz? Yes. It is compitable with v6 superchager. No conflicts. But, I recommend using TweakZ w/o v6 supercharger because in my opinion, TweakZ is better than V6. if i use cow rom v2 can i use this tweakz....??? how do i know if i have installed the zip? sorry didnt read all the comments. v6 is supported. im currently on cyanogen9 rom but the battery is really draining fast! is there any tweaks to make bat life even better. Geeky engine? adrenaline shot? whats recommended? im on cmb3 with forfivo kernel v1, geeky engine, and jelly dark mod by ibanez..
after flashing everything..i calibrated the battery..
after 17hrs (heavy texting, a little on music, picture taking, and wifi, 10min of calls), i still have 47% juice..
can i use it on cm9? One more thing, can I use TweakZV6 together with Geeky Engine?? Yes. can use with cm9 and yes, can combine with geeky engine. are there anything change in my phone like its system or something after installing this tweaks or it will be the same system?but fast? are these tweaks improved battery life?? It will tweak your phone system and build.prop. You can see some changes in system folder using root explorer. and of course will make your phone faster. IMO, tweakZ is the best tweak to improve battery life and second is geeky engine. You will feel the increase in performance mostly when u multitask or using apps that required lots of ram/cpu usage. sorry..after install the tweakz will all my files or apps or something like that will be erased o gone? yes. it is possible to combine tweakz with geeky. your apps will not be erased or gone since all this tweaks only change your system build.prop to make your phone faster. i have install it..thankz dude..but,,how did i know it works? I have a Xperia arc s and I have installed tweaks but I can't feel the difference. why i cant install it via recovery? it says error? After flash a new rom, is it necessary to do this again? Can I use Geeky Engine and TweakzV6 on CM10.1? Arcos rom, and kernel is 3.0.71! Is it possible to use one of those tweaks? Or both of them? Will it cause something to the system? Or not? Its important!